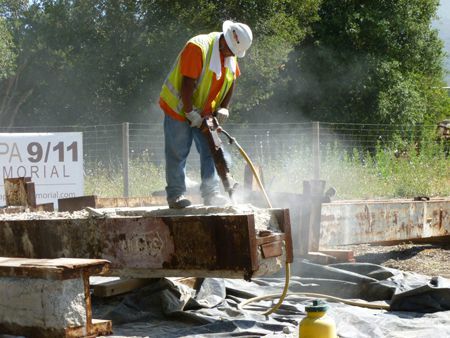 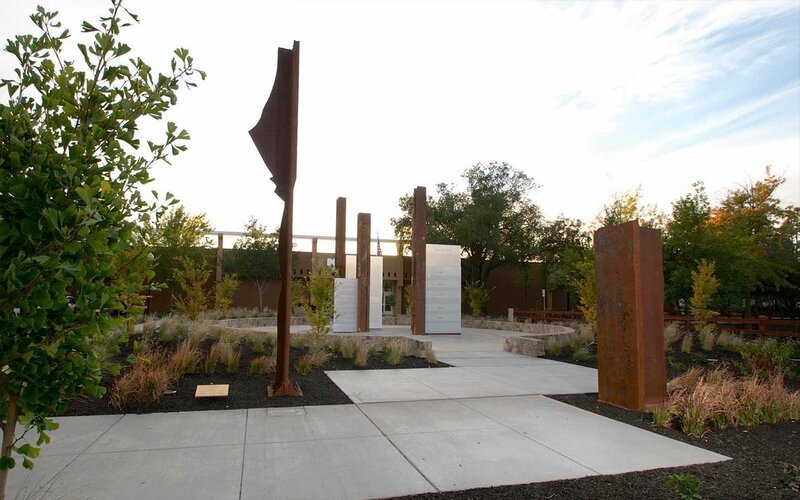 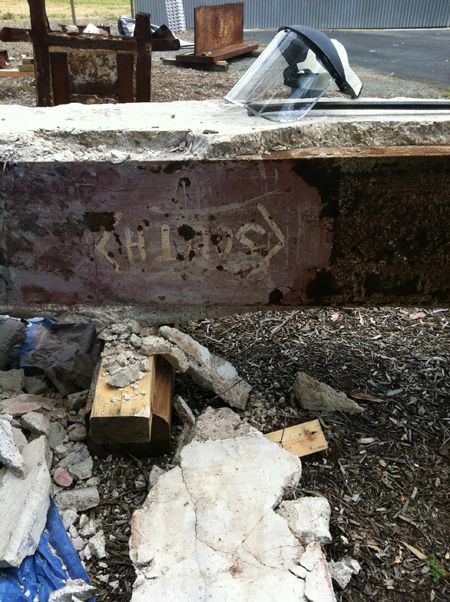 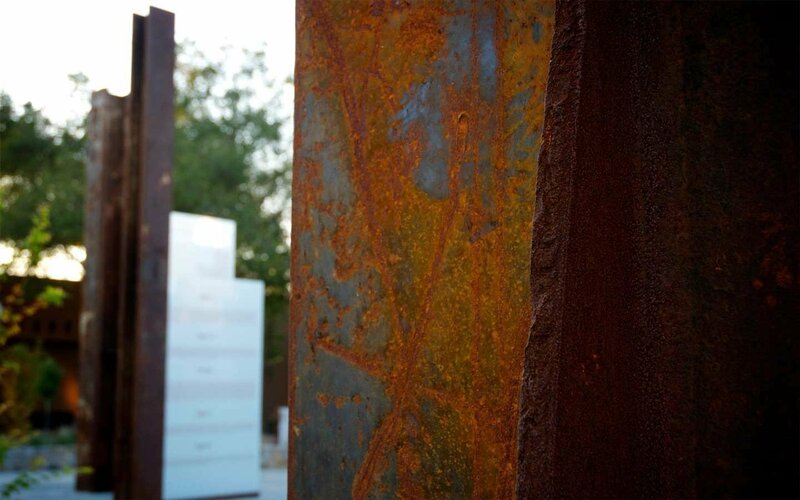 One of Huether’s greatest experiences integrating public artwork within a civic space is the Napa 9/11 Memorial Garden. 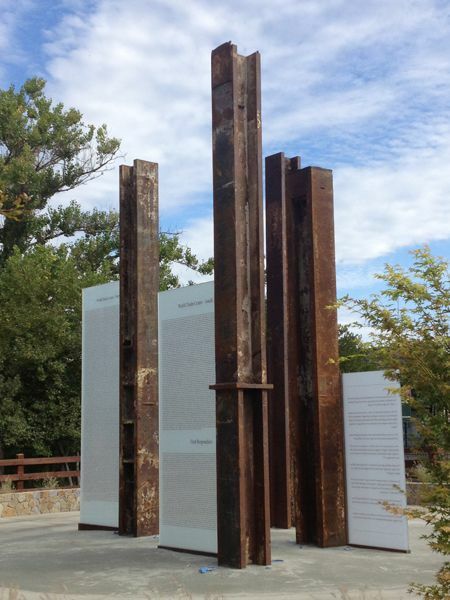 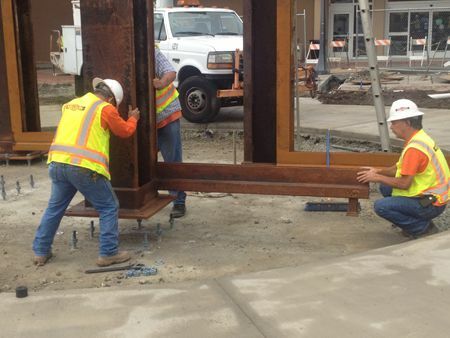 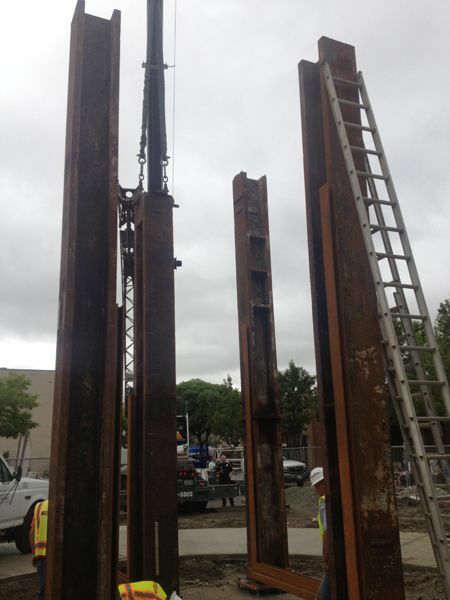 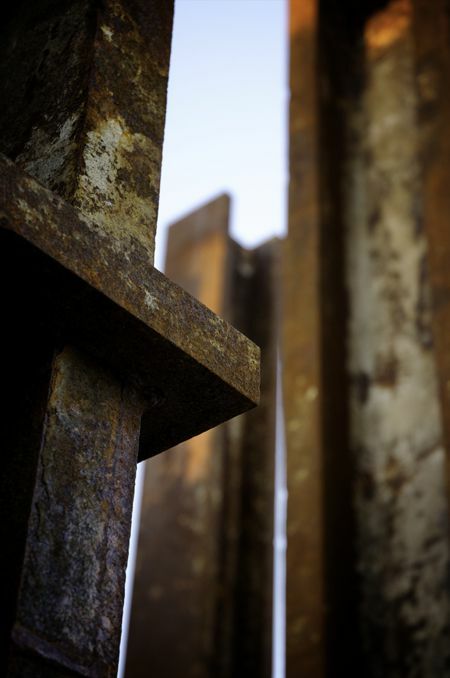 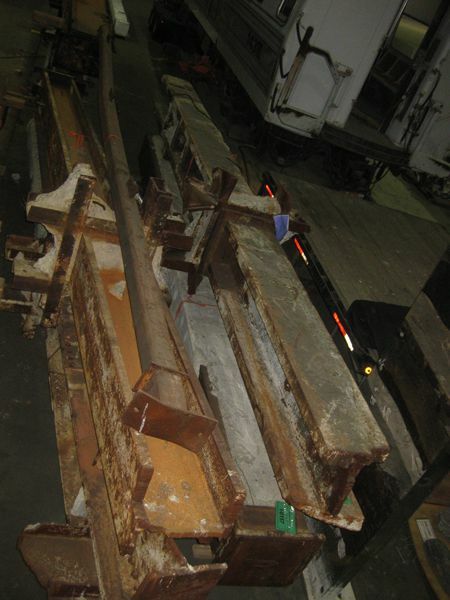 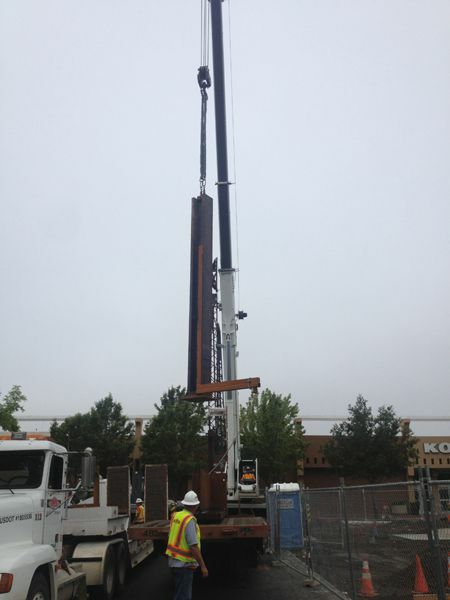 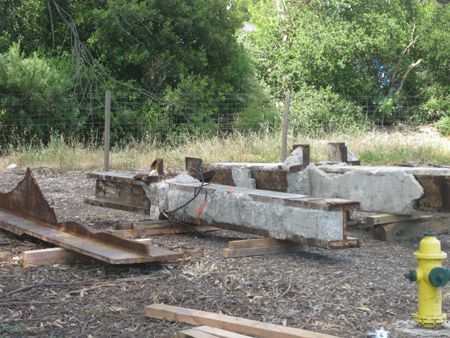 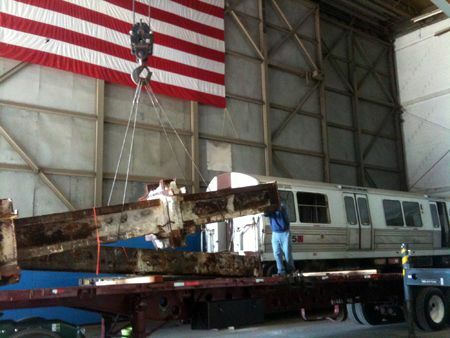 When the Napa Fire Department was offered 30 tons of steel from the wreckage of the Twin Towers at the World Trade Center to be used for a public memorial, the community sought Huether’s leadership in conceiving a memorial sculpture and overseeing this $1 million public-private project to completion. 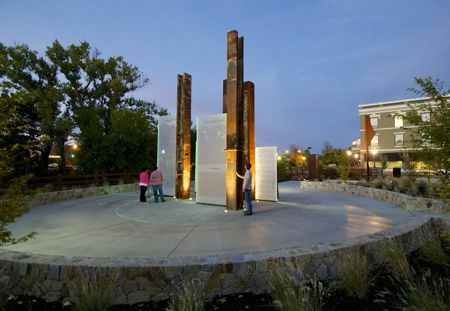 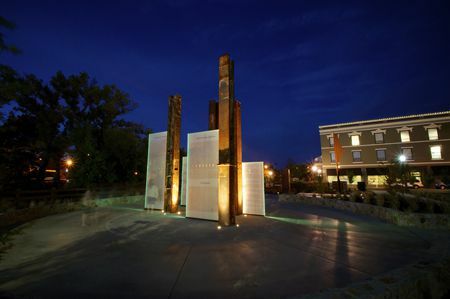 As the lead artist, Gordon worked with civic leaders, community members and private developers in conceiving and realizing the transformation of an empty city block into a significant public artwork and plaza erected in memory of those who senselessly lost their lives at the hands of terrorists and the first responders who tried to rescue them. 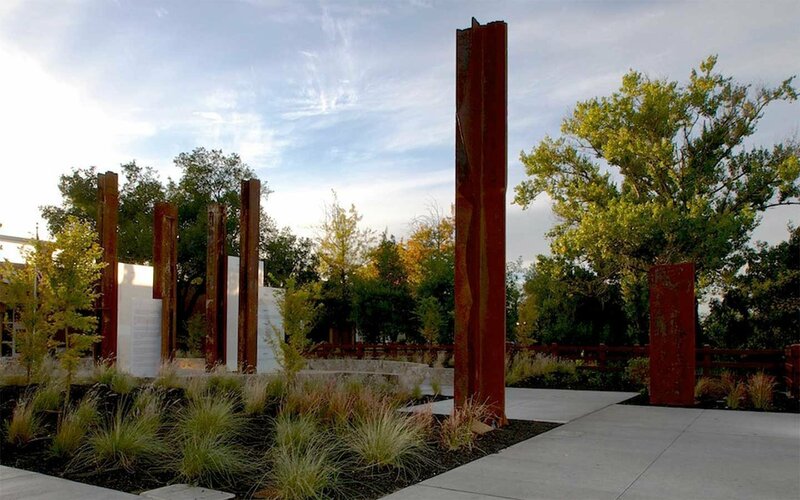 Additionally, Huether took the lead for many of the fundraising efforts for this project, the largest 9/11 Memorial in the western United States. 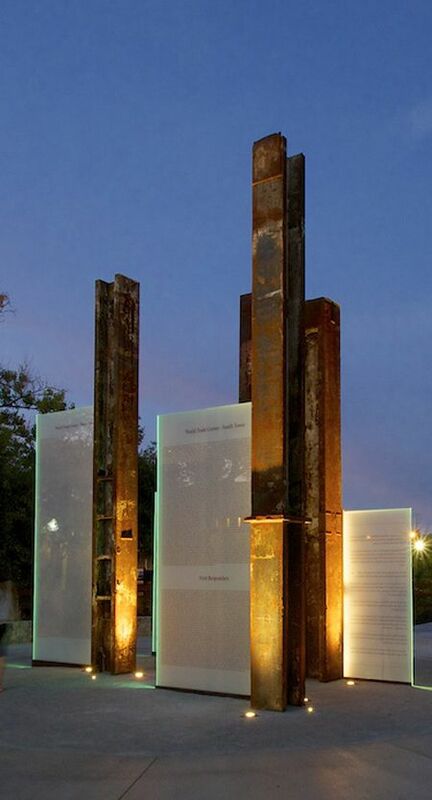 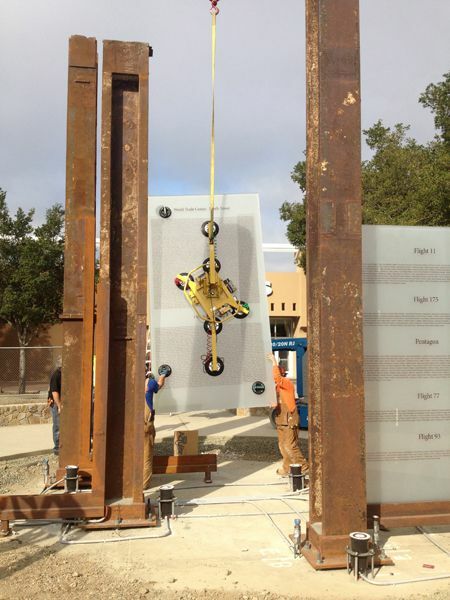 The memorial is constructed with recovered beams from the World Trade Center and laminated glass panels with printed vinyl inner layers that lists the 2,997 names of those who lost their lives that day. 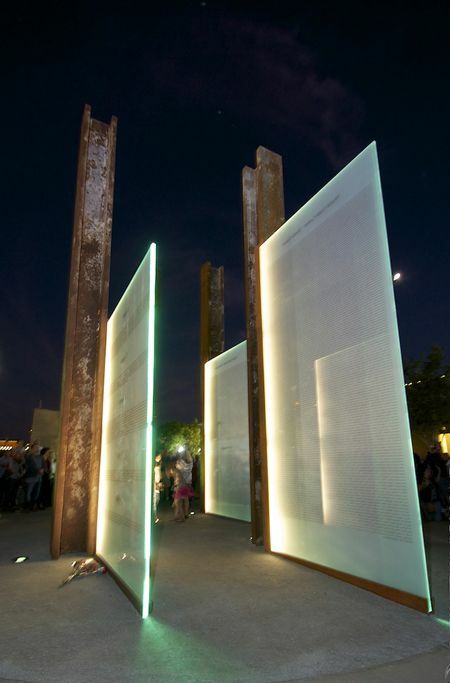 Sited in a large landscaped plaza, the Memorial and surrounding garden are illuminated at night with an integrated LED lighting system, allowing visitors to experience the Memorial throughout the day and evening. 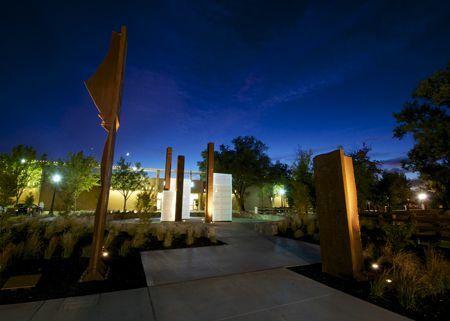 The memorial plaza has become a place for the community and visitors to engage in quiet contemplation and reflection. 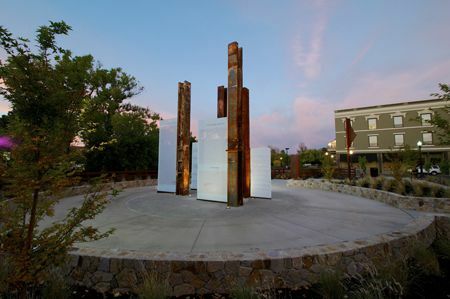 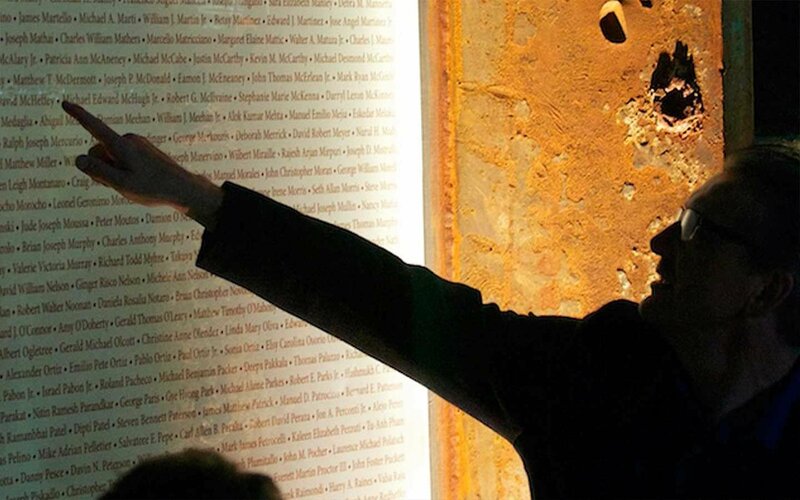 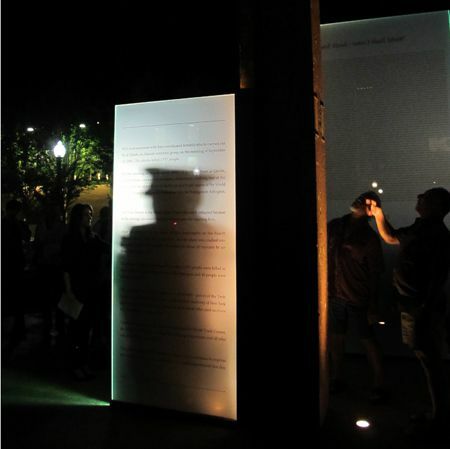 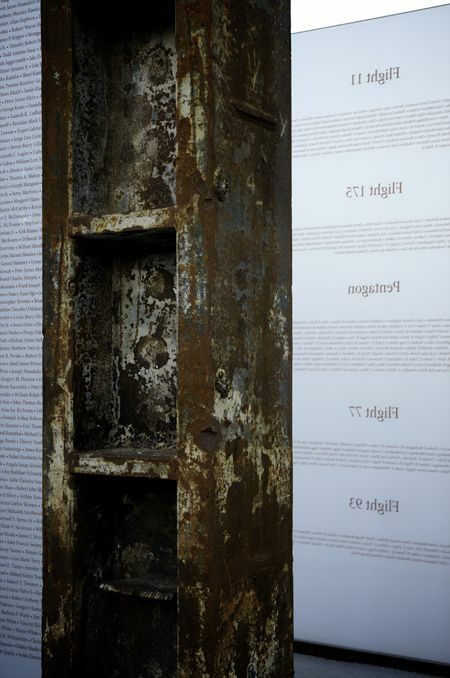 Described as both evocative and haunting, the Napa 9/11 Memorial continually inspires viewers to express the courage and compassion the world experienced in the aftermath of 9/11.